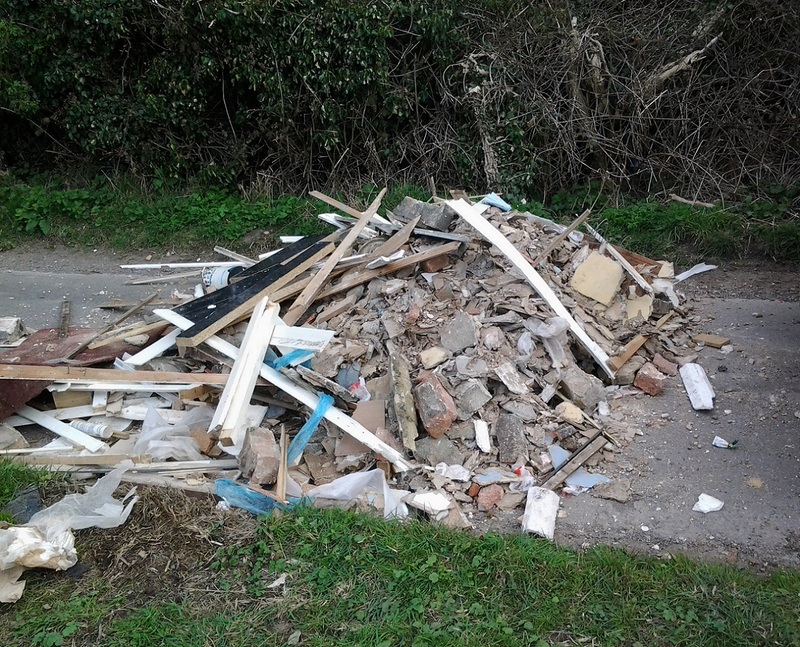 A Bristol man has been ordered to undertake 120 hours of unpaid community work and pay £1,628.73 in costs after pleading guilty to fly tipping building and DIY waste in Easter Compton, South Gloucestershire. Peter Hahn, aged 29, of Southwood Drive East, Coombe Dingle, Bristol was sentenced at Northavon Magistrates Court on 2 October following an investigation by South Gloucestershire Council’s Environmental Crime enforcement team. The court heard that a Westbury-on-Trym resident was working extensively on his house and temporarily storing waste and building debris on the driveway, intending to hire a skip. On Tuesday 18 March the resident was visited by Hahn, accompanied by another male, who offered to remove the waste from the driveway for £170. Some of the debris was then taken away in a van. The following day Hahn returned along with some more men and another van, and some of the remaining waste was transferred to this other van. 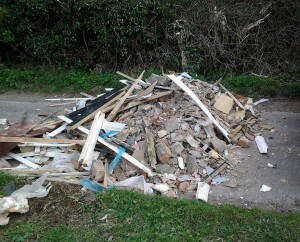 As a result of a call from a member of the public, part of the waste was found fly tipped the following day at Farm Lane, Easter Compton, where it was completely blocking the road. In interview Hahn accepted the fly tipped waste at Farm Lane was some of the waste he had been paid to remove, but maintained that the load he had driven away himself had been initially taken to his home address. He claimed that he bagged it up at home before taking it ‘piecemeal’ in his personal car to Bristol City Council’s refuse disposal site in Avonmouth. He claimed that he had split the money (ie £85 each) with the other van driver who he only knew as ‘Mark’, and that he must have fly tipped the waste. Hahn refused to provide investigating officers with any further information, so the second driver could not be traced and interviewed. In court Hahn pleaded guilty to the tip and on top of the 120 hours of community work and £1,628.73 costs, was also ordered to pay a £60 victims surcharge. Ask for a copy of the company’s waste carrier registration certificate and ask where the waste is being taken. Legitimate firms will be happy to provide this information. Ask for a registered trading address and contact telephone number for the trader and get a receipt. Unwanted goods and household or garden waste can all be disposed of at no cost via the council’s Sort IT! * centres.